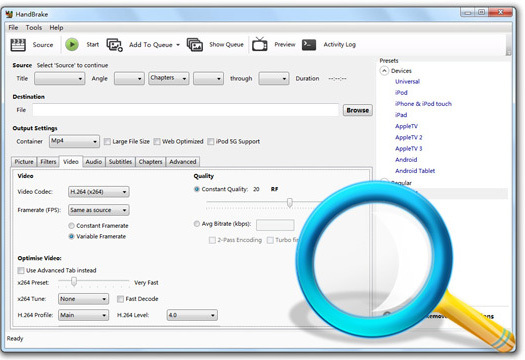 Handbrake is a conversion application that helps in the whole process. You might be wondering how it works? Well, for the whole procedure the HD Decrypter of DVDFab's is required. A thing you need to take note over here is that the handbrake is not able to take control of the protection of the DVD copy. This HD Decrypter is the free space of the DVDFab’s application. The role of the HD Decrypter is that it will get rid of the DVD’s copy protection, Audio TS folders and copy of the Video TS to the hard disk. Step 1. Click "Source" at the left and choose DVD/VIDEO TS folder. Step 2. Browse the destination to select and copy any movie. The location will be the Documents folder by default. You can also set your own destination folder. A window for an optional default path in Handbrake will appear, just click "OK". Step 3. After this go to "Title" and open the dropdown list and select the duration that matches the movie's length. Step 4. Select "MP4 File" from the dropdown list next to "Container" which will be the file extension. Handbrake can also be used for iOS. Before ripping, the help of VLC would be needed for the decryption DVD. It Contains browser hijack and adware software. 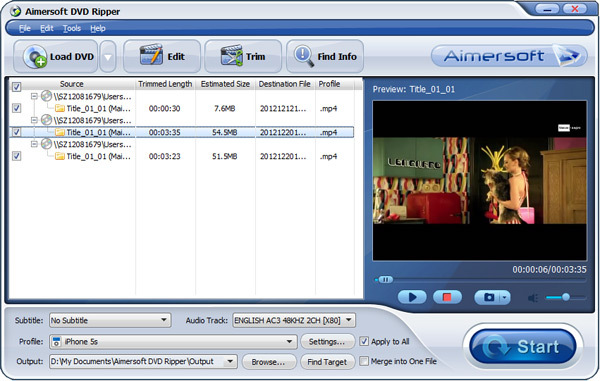 Aimersoft DVD Ripper is one of the best DVD Rippers that display quick results. 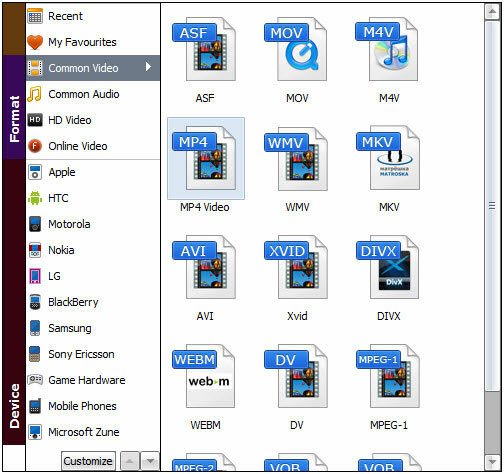 DVD’s can be converted into MP4, 3GP, FLV, AVI, MOV, HD, MKV and lots more. This application also provides protection to your DVD. In addition, If you are a Mac uers, you can work the Mac version of Aimersoft DVD Ripper to convert DVD to MP4 on your Mac OS X 10.10, 10.9, 10.8 or earlier. At first, please get the software started. Import the movie by browsing it from your PC and put it up to be ripped. Whatever adjustments and editing you have done can be further saved by choosing the MP4 extension by going in the settings section. You can also add in the name to your ripper profile and save all the info of the movie that shows up from the internet. At last, just click the "Start" button to begin ripping DVD to MP4. And this process will be finished within seconds.